Terrific new tees that are big fun, with two that are just so appropriate for today. 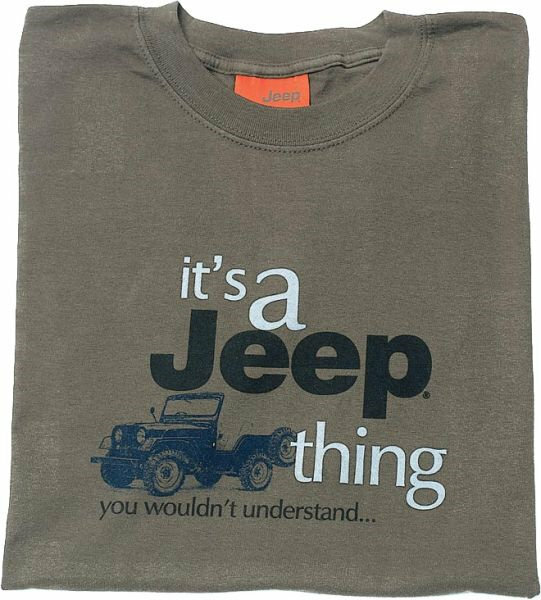 You can't beat the "It's a Jeep Thing... You Wouldn't Understand" shirt for shouting out your message loud and clear. 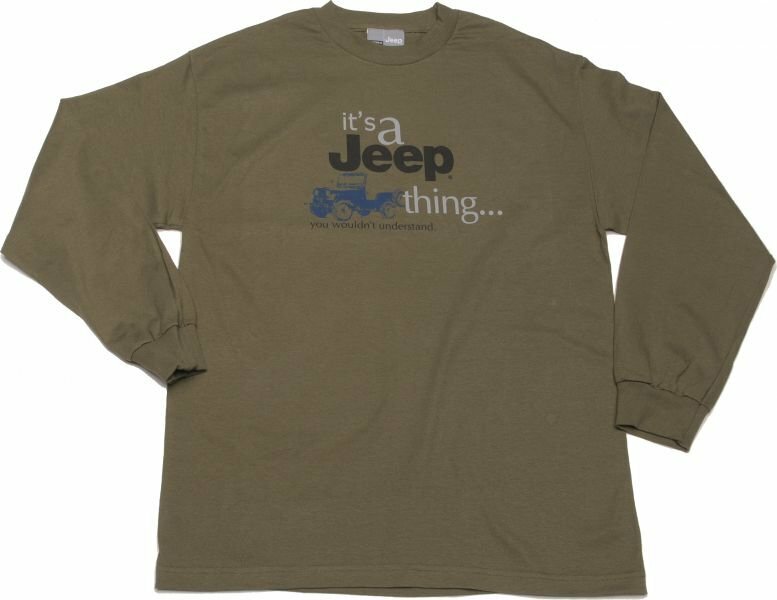 Also, check out the patriotic US-flag-styled Wrangler tee. Select from M (.X3), L(.X4), XL(.X5) or XXL(.X6). Items in size XXL are $3.00 extra.